Jack Wills — Touloukian Touloukian Inc. 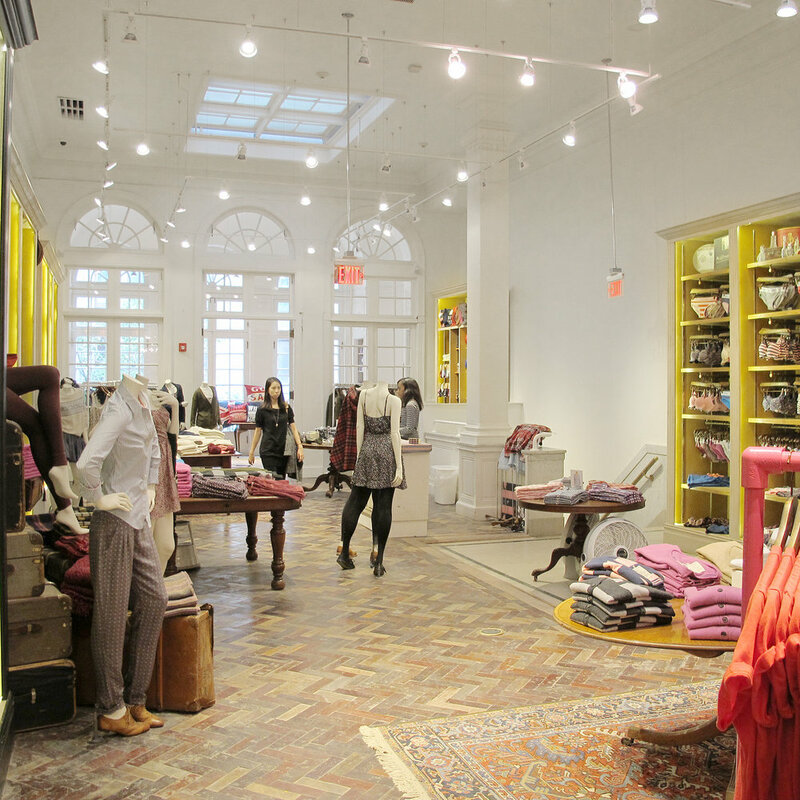 Provided design and construction administration services for eight (8) stores in six (6) states for Jack Wills University Outfitters. Each project varied in scale, cost, schedule, and complexity. The Boston and Philadelphia stores were much larger in scale and complexity involving multiple floors, extensive exterior envelope work, mechanical and lighting system upgrades. The Philadelphia store (pictured) required extensive planning and was completed to meet accessibility standards with new restrooms, fitting rooms, and a new elevator system that had to be fit into the existing structure.